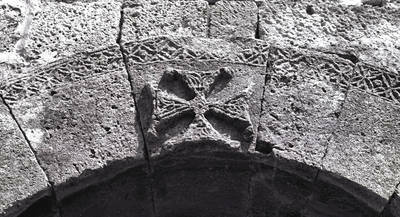 Decorated cross on the keystone of the entry arch. Consecrated in 661 by Visigothic King Reccesuinth in thanks for healing from the local hot springs. It is considered one of the oldest and most original extant Visigothic church in Spain.